Milon in Washington DC: DC for the student budget. DC for the student budget. I really wish I could have come to live in DC with more than a student budget. Really, there is so much to do in this city. There is always something going on somewhere and my list of places I would like to eat is longer than long. I would have been completely ruined, had I checked everything off my wish-to-list. However, the student must not cry for too long, because there are actually lots of free events taking place in the area. 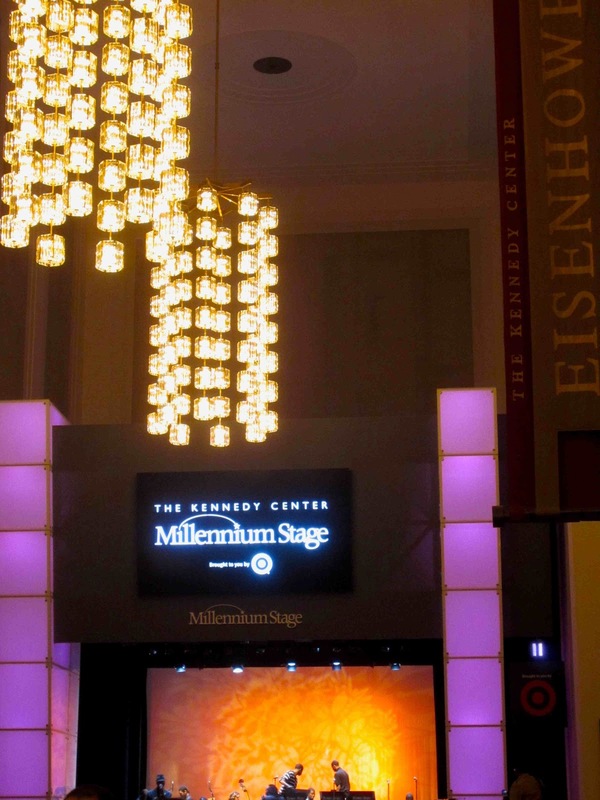 The Millenium Stage at the Kennedy Center is one example. Every day at 6pm, you can enjoy 60 minutes of some kind of performance to the low price of nothing. I was there this Sunday, and left the real world behind for a bit, while listening to the Bowie State University Jazz Band. Providing people with free entertainment and a moment of escapism is a great initiative. Seize the opportunity! The easiest way to get there is from the Foggy Bottom Metro Station, where a red shuttle bus is waiting for you, taking you straight to the center – and that one's also free!